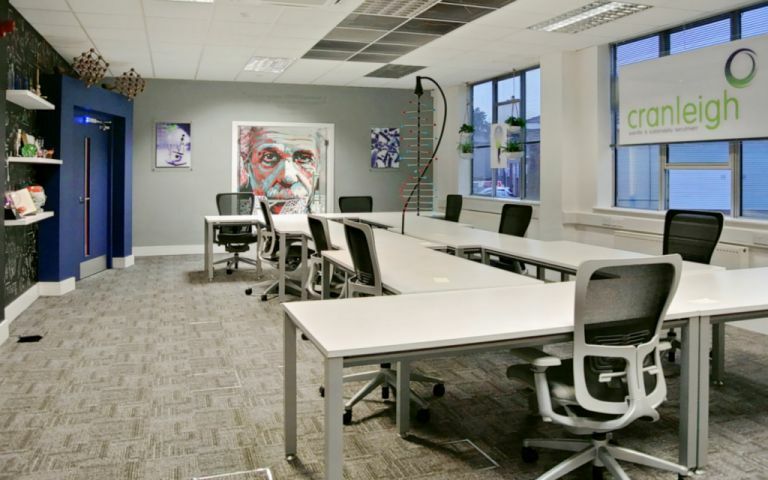 Recently refurbished serviced, 2 person up to 12 person, offices located on the outskirts of Guildford with allocated parking. Amenities include meeting rooms with OHP and wireless internet, kitchen facilities and dedicated fibre broadband. Located in Peasmarsh halfway between Guildford and Godalming our offices provide clients with calm surroundings but within walking distance of the train station.